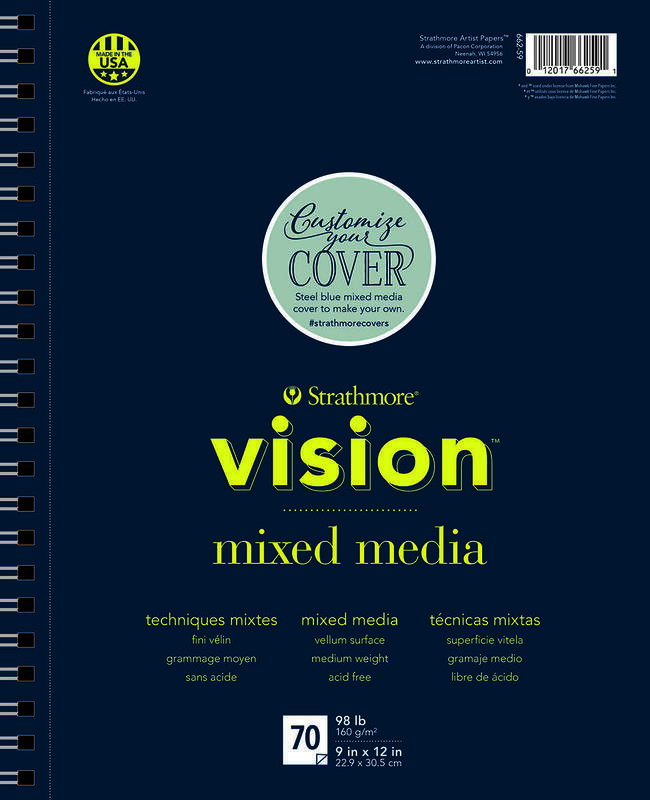 These pads feature medium weight, all-purpose paper in a sketching format. This versatile paper is a good choice for dry and light wet media sketching. All sizes feature 70 sheets per pad, sturdy chipboard backing and tear-off top sheets with customizable, steel blue mixed media covers below.